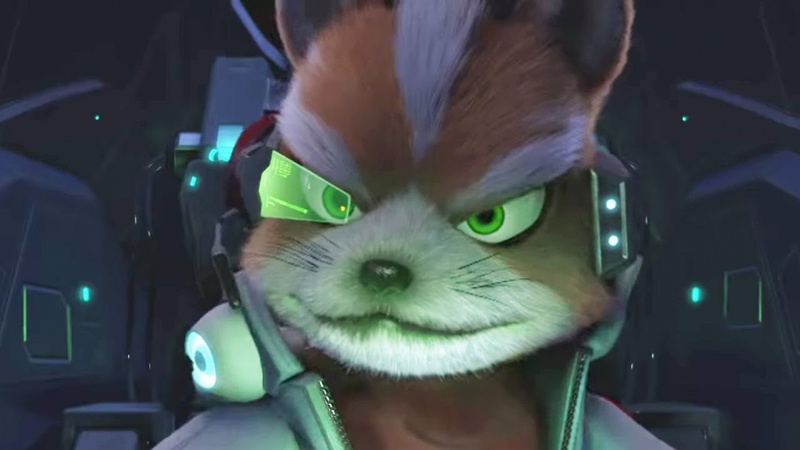 Star Fox's shock arrival in Ubisoft's Starlink: Battle for Atlas was one of the major highlights for Nintendo fans at this year's E3 - despite the fact that the news came during Ubisoft's conference - and it turns out that we may well have Nintendo of America president Reggie Fils-Aimé to thank for it. The most recent issue of Japanese magazine Famitsu contains an interview with Starlink producer Matthew Rose (and has been kindly translated by Siliconera). The interview reveals that Reggie was present at a small closed-doors demo event for the game last year, and noticed the possibilities that the game could bring. He invited the developers to present the game to Shigeru Miyamoto and Star Fox's development team and this meeting led to the collaboration. Other interesting bits of info revealed that there are more spacecraft and parts that we haven't yet seen from the game's demo, and that post-launch DLC is planned that will offer new spacecraft. Having said that, Rose also confirmed that the whole game is beatable with just the parts included in the Starter Packs. While Fox's piloting abilities are still a secret at the moment, Rose mentions that his personality, as well as the Arwing's abilities, will be faithfully reproduced. Remember, the game is scheduled to launch on 16th October with the Star Fox content being exclusive to the Nintendo Switch version of the game. Are you excited for this one? No, I think it may have been copious amounts of money offered. I am so down for this! I'll only pay for the starter pack though. Toys to life, to me, is just another type of microtransactions. I have no interest in this game, even if it's the Star Fox we have been waiting for. Maybe Reggie can get us a real Star Fox game, too. @Bunkerneath I agree with you, however at least the toys give me something to hold on to. I collected Disney Infinity and the figures are really nice. I've been hyped for this since E3 last year and Fox has made me even more hyped. Starlink went from something that Id consider when it was in the bargain bin to a must have that I've preordered all because of the Star Fox addition. So I guess that Ubisoft can thank Reggie for the sale. @JTMnM No, Reggie burns you alive with a Fire Flower when you ask about a new Star Fox (or Mother 3). Pre-ordered it from ubisoft store to get the bonus character. Can't wait for October! If Jesus sits on the left chair, and God sits on the right chair, the chair left in the middle is for Reggie. Whilst I've often found toys to life products to be too expensive to be worth shelling out on new I've been collecting the Star Wars Disney Infinity recently because they are stupidly cheap now and it's actually really good fun. I got all three level packs, about half the figures and some power up discs for about £26 and it kind of feels like playing the Lego games but more RPG like. You're finding and leveling up those characters across all three games then bringing in the guys who benefit you in whatever situation you're in at that point. Not sure its worth the £100 or so it would've cost for that set up from new but I'm really enjoying it as is. On that understanding, I'm interested in this but it's all going to hinge on the pricing. I wonder how this collaboration works financially. Will Nintendo take an extra cut of Switch sales because its IP is in the game, or have they done it gratis (or even paid for it to happen), just to boost the game's chances and Star Fox's status? Are Ubisoft more likely to buy Nintendo, or Nintendo buy Ubisoft? Too bad Reggie didn't see fit to cough up the goods to ensure that a game containing Nintendo IP was available in full on the cartridge. My interest went from zero to 100 upon seeing the inclusion of Star Fox and the appropriate accessories, and then back to zero again upon learning of the 15GB mandatory download. Unacceptable. The U.S. package art doesn't appear to indicate that there will be a mandatory download. I will import the U.S. version if that is the case. I imagine Ubisoft personally invited Reggie into that conference and kept nodding and raising their eyebrows at him, thinking that Nintendo fans are so scared of leaving their comfort zone that they'll only buy third-party games if there's a Nintendo character in it (which, judging from the amount "Now I'm interested!" type comments I've seen, that's probably, sadly, true). Plus it also pretty much guarantees higher review scores from Nintendo sites (like with Mario + Rabbids Kingdom Battle, whose Metascore would probably drop by about 5% if it had just been Rabbids Kingdom Battle...) Its NintendoLife score would certainly have dropped from a 9 to an 8 for example. Day one. Looked great even before the Star Fox announcement. I personally think that's a mistake. The game runs poorly and the first echos from E3 and other events go the same direction, apparently the game is boring and visually ultra generic. This is an interesting one, who is the Star Fox development team these days? Retro, as rumoured, or just EAD members who have previously worked on Star Fox? Or maybe Nintendo has another Star Fox game in development internally? Almost certainly reading too much into this, but still. Wouldn't blink an eye if an interview mentioned the Zelda or Mario development teams because your always certain theres a new game in development for those series, but Star Fox can disappear for years at a time. This was one of my most anticipated games of the year before the Star Fox announcement. So... Reggie actually did something for once? Certainly interested even if it has a lot of competition around that time. Hopefully it will be the best new Star Fox game since 1997. Which is a really low hurdle to jump. Reggie! You lying son of a... wait, uh, thanks, I guess. This time. The game looks fun, but I doubt it will ever be good enough to make me want to pay £65 for it. 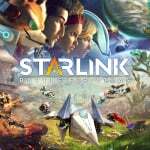 @geordie Likely to be a co-promotional deal where the benefits and corresponding residuals for both sides are negotiated, rather than any actual amount of money being paid to someone for "including Starfox in Starlink." Glad to know you can beat the game with the starter pack, this was my main concern. Maybe I'll consider a purchase now. @Cobalt This is not what I saw in the hour of game play on the e3 Treehouse. Where are you getting this impression? Links would be great. When I first saw this game at E3 I said "nah" but the more I think about it, the more I want it. If you understand French language. They all say the same ! @Cobalt unfortunately I don’t speak French, but after searching for e3 impressions from 2018 I don’t see any immediate articles in English saying anything about how supposedly awful the game is like you’re trying to say. Also you’ve said in previous posts that you use your own opinions and that your opinions aren’t affected or swayed by the internets etc, yet your first referenced link is a reddit post with nothing but a bunch of randoms personal opinions, soooo thanks, but I’ll just wait to see what the game is actually like when it releases. Are crazy or what ? When I give my opinions is always about games I played... as you may know, Starlink is not out yet ! If a game is already out and I played it, it's my opinion. Gameplay looks as bland as cardboard. The word "StarFox" Is there to help sell it. Tons of AAA games out in September/October - no reason to waste time on this. Lol who is going to be first to spin this as a terrible thing because they don’t like Reggie? @Agramonte speak for yourself. I think it's pretty cool you can change your load out physically, on the fly. The added Star Fox content looks like great fun. It also has planet hopping like No Man's Sky, except the difference here is there are actual missions to partake on the planets instead of searching for procedurally generated nonsense. Should be a blast for those who pick it up. That said, StarLink is still certainly on my radar and many others'. Reggie doing something useful? I did not think that possible. Between this and Skyrim maybe he has some value. Just keep him away from microphones. @Cobalt "Slowdowns, horrible loading times, visually poor, generic as hell etc..." To be fair, that's standard for all Ubisoft developed games, yet they somehow usually manage to be fun. @onex sure im only speaking for myself - maybe, but that video with the walkers did not sell it to me. As a Toys to Life/NFC junkie, I was really excited when they announced this last year! Star Fox is just the icing on the cake. Thanks, Reggie! ...however, since I have other fires— I mean, collections to throw my money into, I’ll probably just get the starter pack and nothing more. Kingdom Battle is from Ubi and I must say, they impress me ! @Cobalt Indeed, Ubi occasionally hits one out of the park (in this case with probably a lot of help from Nintendo though.) On their own, Assassin's Creed remains a stand out. The Ghost Recon SRPG that launched on 3DS that was made by the XCom creator was exceptional. Child of Light. Rayman. They get it right sometimes. But their big open world games, AC aside, all fit your description That said, somehow despite the faults I always manage to love their deeply flawed open world games. They're more fun than they should be for some reason. This is awesome to hear. Ubisoft's reveal was great and sold me 100% on this. Fox McCloud's inclusion was the cherry on top. Pre-ordered the Switch starter pack to get the Arwing/Fox and the Starfox missions. I'm so happy they included them for the Nintendo Switch. Cannot wait for this game. Also, YAY for Canadian video game developers!! Do you know what I really think about UbiSoft ? Give to UbiSoft some people from Naughty Dogs/Sucker Punch and trust me, they start to sell outta space ! @Cobalt I agree with you that they have the best potential in terms of vision, by far! But their problems aren't related to lack of internal talent but due to the project managers and marketing goals driving the output. They allow overambitious ideas they can never fulfill, dial it back after initial promise, but then marketing goals require tons of extra content and insufficient delivery time, while project managers are clearly signing off on all of it and fast tracking the process. While Business with a capital "B" approves it all based on the return numbers. You can see in the AC series, the golden goose they can't afford to break, since the Unity disaster, they now give that series the dedication it needs, market be darned. And it shows. It's a quality product now. But they still fast track everything else (The Division, For Honor, it's as though they didn't believe in its success and threw it out incomplete .) They try to make amends later, but it's usually too late. In only one word : PERFECT ! I think Ubisoft should be thanking Reggie, cause the inclusion of Star Fox in the Switch version will definitely make the game sell like crazy for them. I am excited for this game. I'll be there day one! @Cobalt Ubosoft's ZombiU was rough around the edges but I think that turned out to be a fine game and given that it is still in development,there can be a chance that it will improve. (Keeping the Ubisoft typo in). If the Switch version does exceptionally well,does anyone that Star Fox might become semi-integral to the Nintendo versions or something along those lines? Zombi U is absolutely AWESOME the way it is. The game was developed by a small part of "UbiSoft Montpellier" and trust me, to achieve what they did with only that bunch of people... RESPECT ! Seriously though, I was interested in the game at E3 2017 but it was literally 'this is as close to Star Fox as I will likely get this generation.' so I was super excited to see Fox in the trailer, cemented day 1 for me. @Cobalt Good old Wii U nostalgia.Maybe Reggie should have negotiated with Ubisoft to have a Zombi U sequel on Switch instead but either way,I would still be thankful to the President of Nintendo of America for making Ubisoft give us some neat exclusives. @Cobalt I remembered that but they already released the game on XBox One and PS4 as ''Zombi'' so why not Zombi 2?I would still take a sequel even if it means not having the neat ''real life'' prepper pad. Released on PS4 and ONE... RESULT ??? What's made Zombi U sooooo great was the unique use of the gamepad. It's the key for that game. I prefer that they don't try to make another one, except if Nintendo release a Switch 2 that allows to play with 2 screens. @Cobalt I was thinking Nintendo should release an accessory to fulfill the dual screen void or maybe use some sort compatibility with another device. That will be awesome !